Hui Xuan Ooi (MA 2020) briefly studied audio storytelling while completing her undergraduate degree at the University of Florida. 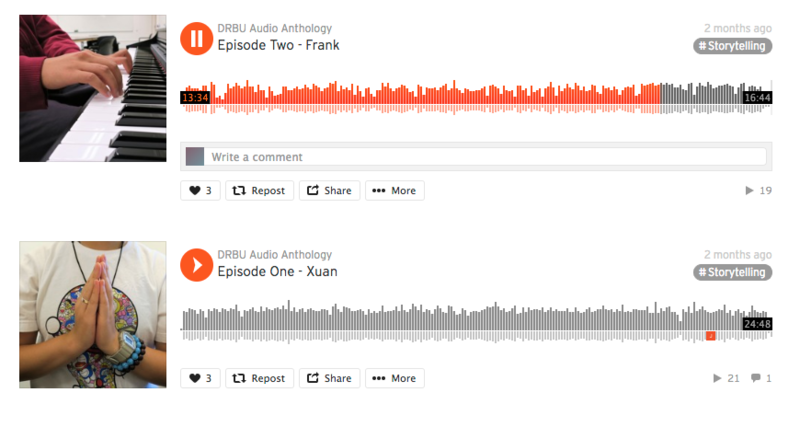 After joining DRBU as a master’s student, she decided to interview fellow students and alumni for her own podcast: “DRBU Audio Anthology.” In it she asks interviewees about their life before DRBU, what brought them to apply, and what they’ve learned from being in the DRBU environment. Her hope is to share with prospective students and others an inside look at why people choose to come to DRBU. One of the important factors that lead Xuan to apply to DRBU was an exchange of stories with faculty, students and alumni. She wanted to see “if there was any way in which I could help prospective students in the same way I was helped—through hearing how people were able to trust themselves and transform into better people.” Her podcast offers very personal and unfiltered reflections told through each student’s own voice. All the podcasts include full audio transcriptions for accessibility and convenience. New episodes will be uploaded throughout the year. To listen in, go to list of episodes.